The BeagleBone Green is an AM3358 based embedded Linux microcontroller board with built in Grove interface connectors. 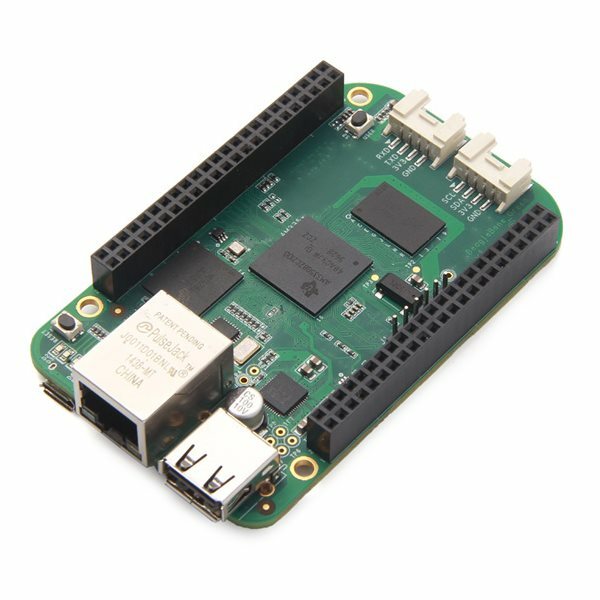 The BeagleBone Green is a powerful single board embedded computer with a Sitara AM3358 1GHz ARM Cortex-A8 processor. 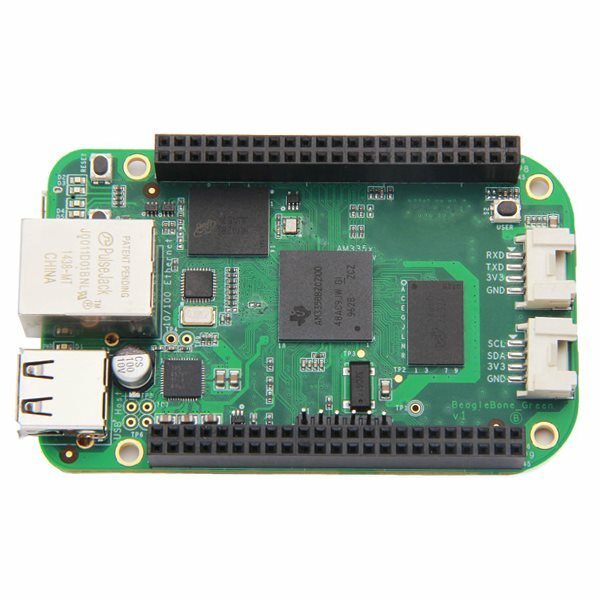 It has 512M of DDR3 RAM, 4GB FLASH storage, micro SD card slot, USB, Ethernet, user accessible GPIO pin headers and two built in Grove serial interface connectors. Two 46 pin female headers allow easy connection to a variety of GPIO pins. 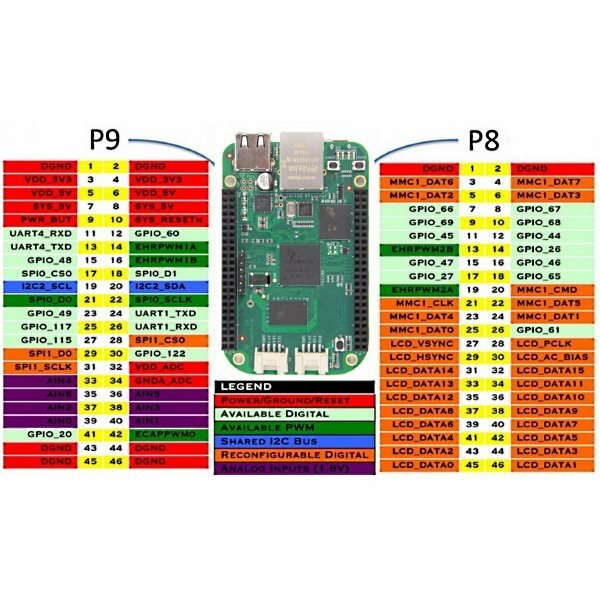 GPIO pins have up to 8 different modes that can be configured. 65 GPIO pins can be configured as digital I/O with full interrupt support. Up to 8 digital I/O pins can be configured to produce hardware PWM Pulse Width Modulation to drive motors or produce pseudo analog voltage levels. Seven 1.8 volt analog inputs are also available. Analog inputs use a single 12 bit A2D Analog to Digital converter with 8 channels. There are also five serial ports available at the GPIO connectors and one debug serial port connector. It also includes I2C and SPI ports. 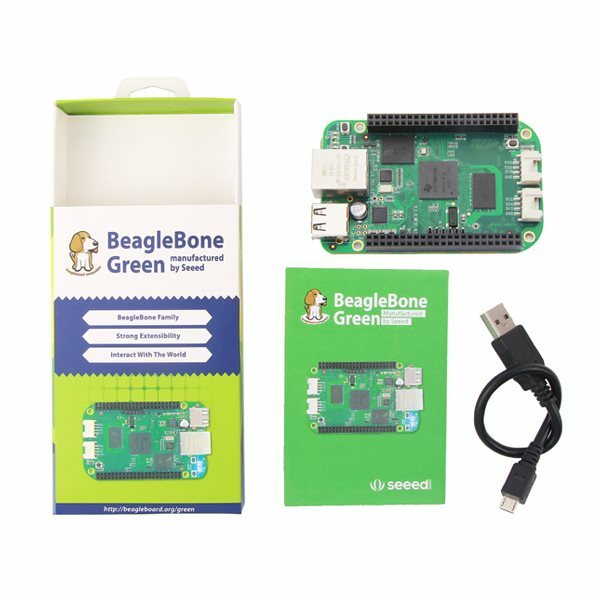 The BeagleBone Green is fully compatible with the BeagleBone Black microcontroller and capes. The main difference is that has two Grove connectors instead of an HDMI interface. The Grove I2C and UART serial connectors allow easy connection to compatible Grove modules. The system can be expanded by attaching standard BeagleBone capes. 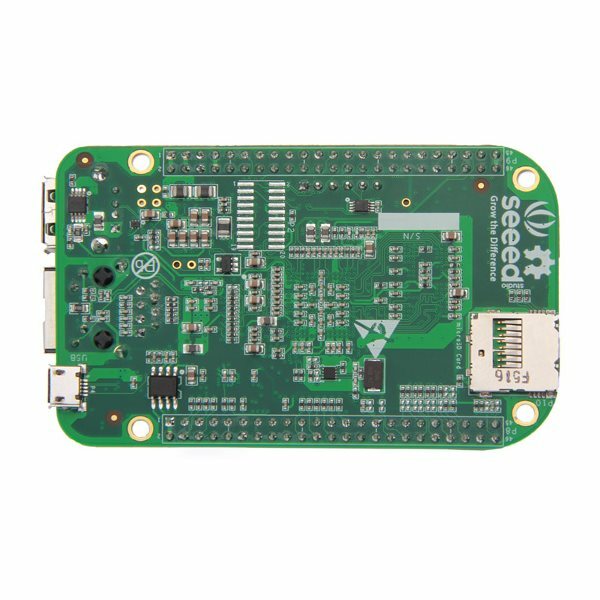 This embedded microcontroller is compatible with a wide range of operating systems including Debian and Ubuntu Linux and Android. It comes preloaded with Linux and ships with a USB cable and a getting started user guide.